Brian Harris | BMSS, LLC. With over 25 years of experience, Brian recently joined BMSS in 2018, where he primarily works within the government and nonprofit niches. Brian specializes in purchasing and construction-related issues involving state and federal procurement regulations, including the Competitive Bid Law, Public Works Law and Davis-Bacon. 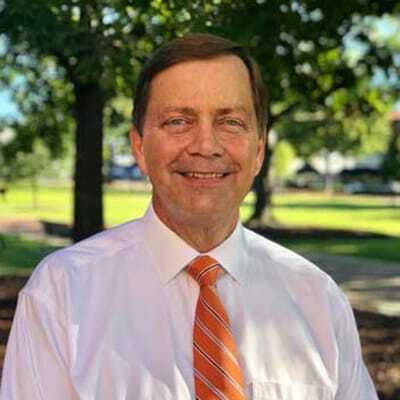 After graduating from Auburn University and before joining the firm, Brian worked for the Alabama Department of Examiners of Public Accounts. While there, he held several managerial positions including Manager for State Agency audits, Director of College and University audits, Coordinator of Mental Health audits and Coordinator of Hospital audits. Those around Brian describe him as dependable and someone always striving to exceed expectations. Born and raised in Ozark, Alabama, Brian now resides in Auburn with his wife, Kelli, and their two children, Hannah and Andrew. In Brian’s free time, he enjoys camping, fishing, golfing, jogging and Red Sox Baseball. According to Brian, the best place to be on a fall Saturday is in Auburn.